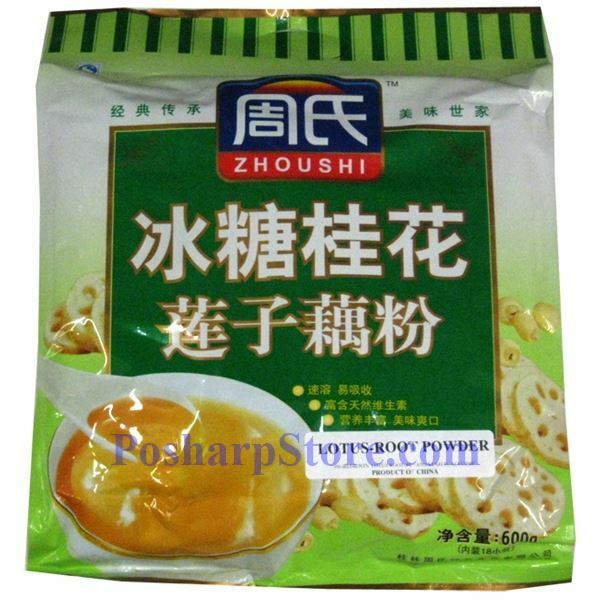 This instant cereal is a traditional nourishing food made from nutritional lotus root with lotus seeds, sweet olive (osmanthus), and rock sugar. With hot water, a instant nutritious meal can be ready for you to enjoy in a few minute. Weight：21 oz or 600g in 18 sachets. Weight：21 oz or 600g in 18 sachets.